So that’s it: the end of our travels. 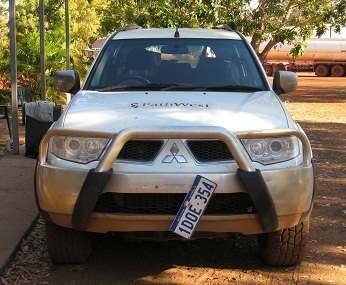 The field survey team made it from one end of the Gibb River Road to the other without a single puncture. Quite an achievement when you consider the number of shredded tyres spotted by the side of the road. Other than a hundred kilometers at the western end, and patches of road reinforcement on hilly sections, the Gibb is unmetalled dirt track. Graded once a year to make good the damage caused by wet season rains, this route heads off through the backblocks of the West Kimberley in an easterly direction. 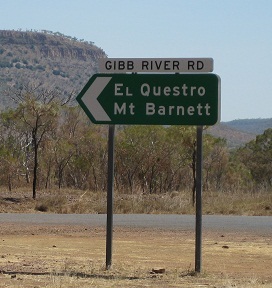 Its eastern end is near El Questro station, just west of Kununurra. We covered more than 1,000 km including offshoots towards Mornington Wilderness Camp and Drysdale Station for overnight stops. This was the meat in the road show’s sandwich. 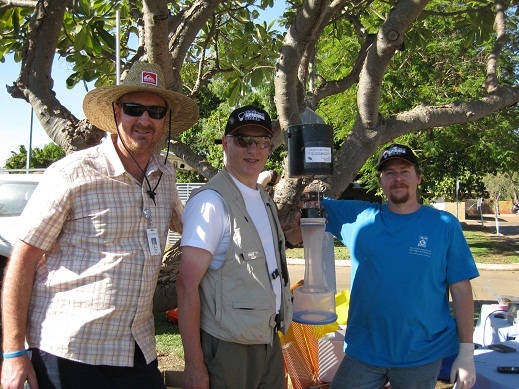 National Science Week had the Lab Without Walls team in Broome and Derby for public demonstrations of mosquito trapping, soil collection and analysis techniques used in surveillance of tropical infectious diseases. These were meet-the-people public science events. 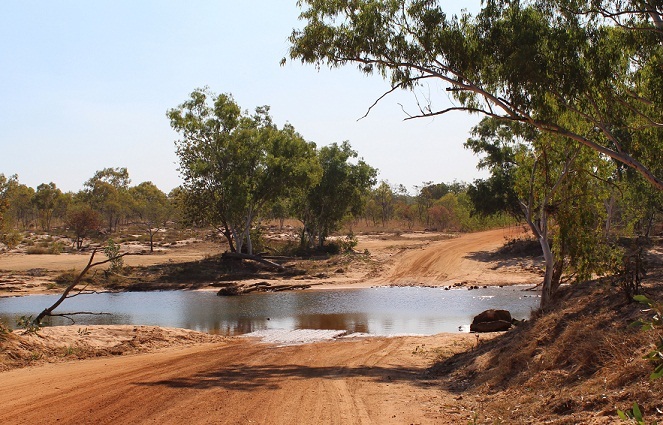 But once we hit the red dirt and flinty rocks of the Gibb River Road, all eyes were on the road ahead and its challenges. National Science Week activities through this stage of the roadshow comprised more informal encounters, such as conversations with road house owners during refuelling stops, or impromptu camp fire talks at outback stations. Not quite pathology in the pub, but a great setting in which to talk about your work and why it matters. 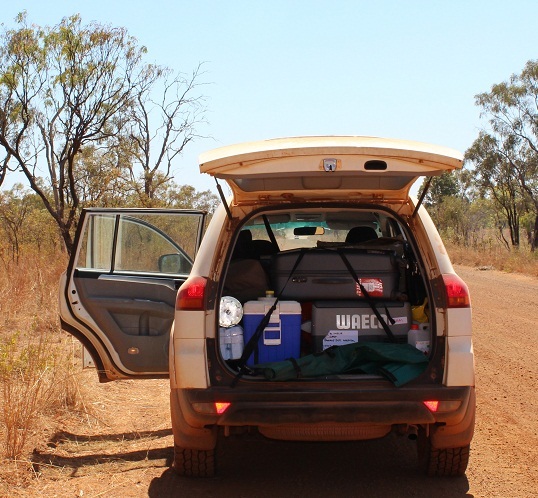 The Gibb River Road stage of the road show was much more than soft science, since the team needed to get some serious work done along the way. It was a great opportunity to look for dry season environmental reservoirs of two distinct groups of tropical diseases; arbovirus (mosquito borne viruses) infection and Burkholderia pseudomallei, cause of melioidosis. That entailed soil sampling during the day and mosquito trapping at night. 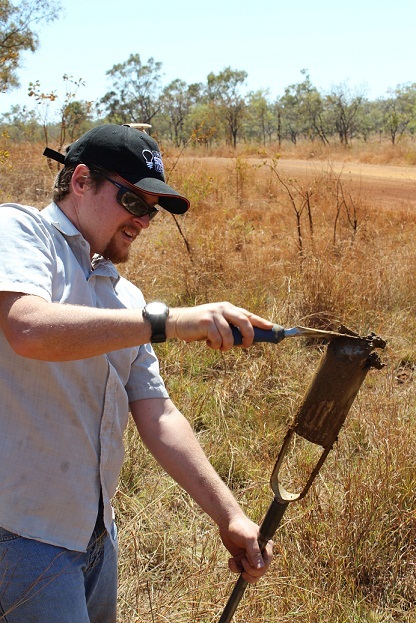 Drilling out 10cm cores of heavy soil by augur down to 1.5m was hot work under the Kimberley sun. Mosquito trapping at night was a lot cooler, especially while the supply of dried ice held out. 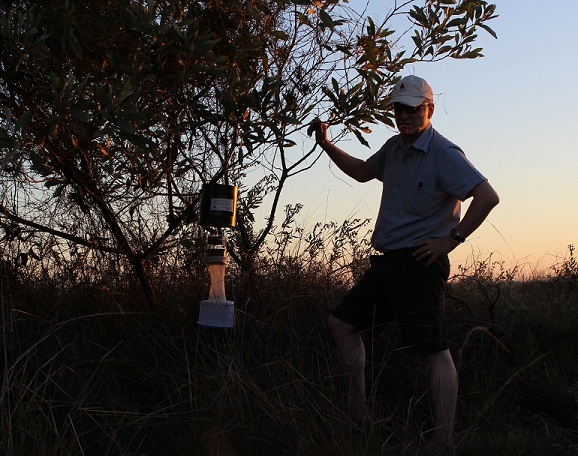 We processed our soil and mosquito samples at station after station, running the PCR assays every night along the way. Despite the bumpy ride, our portable thermocycler didn’t miss a beat, even continuing its analysis when a working station’s generator cut out briefly. Knowing the gear can survive these conditions is a big step towards equipping remote pathology centres with this kind of equipment. National Science Week brought us into contact with lots of delightful people we’d never have met any other way. Our overall score was over three hundred encounters between Broome and Kununurra. Local, State and national media (radio interview) ensured that news of our activities circulated much more widely. This blog will link you to additional media coverage of our road show as it comes up. Lab Without Walls thanks you all for your interest in our work. We look forward to helping you with yours. Keep up the awesome work 🙂 Can’t wait to read all about the new discoveries from all the traps, and soil samples. Terrific documentary on the ABC’s Catalyst last night! Exciting trip. Good work.